Quality, reliability and customer satisfaction depend on consistency in manufacturing. That's why the Internal Organization for Standardization developed the ISO 9001 and other standards, and why we adhere to them in every internal process and food packaging product we make. 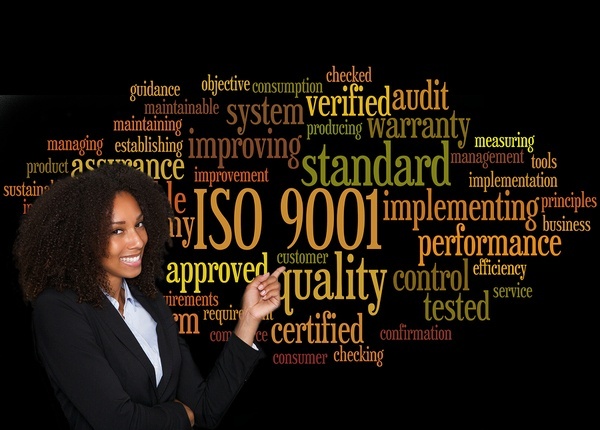 ISO 9001 compliance represents a promise. Customers know that the procedures by which the company makes products are geared toward quality, consistency, efficiency, safety, transparency and, ultimately, a happy customer. Here's how our commitment benefits you. Surprises are great for birthdays, but they're bad for business. Product consistency gives you the assurance that when a food packaging order arrives, your product is right and your production schedule can stay on course. "When products and services conform to International Standards consumers can have confidence that they are safe, reliable and of good quality." ISO compliance gives you confidence that the product you order today will have the same quality as your last order and the orders you place in the future. There's a lot to be said for peace of mind. Order delays have a ripple effect. They spread out to interfere with production, create unnecessary worker downtime and can cost you money. If delays interfere frequently with your schedule, they can breed ill will with your customers. ISO compliance leaves fewer opportunities for delays because manufacturing processes are known, set in force and adhered to. We run a tight ship so that you can, too. You might not think our internal record controls affect your business. But the more streamlined our processes, and the more people on our team who adhere to the same system, the more efficiently we can work for you. If you call, we have answers. If there's a production or delivery snag, we can find and resolve it quickly. That means less time spent waiting. In a broader sense, better record keeping also keeps our own processes on track across every department. ISO Quality Services Limited explains that standardized record control creates an efficient method for document identification so anyone can find what they need when they need it. It covers filing, retrieving, storing, retaining, and even destroying company records. Certification isn't "once and done." First, a company must agree to ISO standards and commit to implementation throughout the company. Then an independent auditor evaluates the company's success, requesting corrective measures if necessary. ISO certification is only awarded if the company and all employees are on board. It begins with upper management and flows throughout every level and function of the company. After certification, every ISO compliant company has an annual checkup or audit. If any inconsistencies emerge, they're corrected and preventative action is implemented to avoid it in the future. Our ISO 9001 certification is more than just a document to frame and mount on an office wall. It represents a company-wide commitment to enacting the best possible practices for every aspect of business. For CDF customers, ISO certification means quality and dependability. Good relationships are built on trust. We invest in internationally-recognized standards to help your business succeed because, not in spite, of us. Contact us to learn more about flexible food packaging and why our quality supports your quality.